Pictured is Mr. Terrell Turner with a group of first graders. As Kiwanis member Mr. Terrell Turner entered Mrs. Peggy Roquemore's first grade classroom, one could hear the screams of excitement throughout the elementary building! The first grade students love when Mr. Terrell comes to read in their classroom, and their enthusiasm is truly genuine each month. They were especially delighted to receive the gift books from the local Kiwanis Club and Books for Sumter Children. 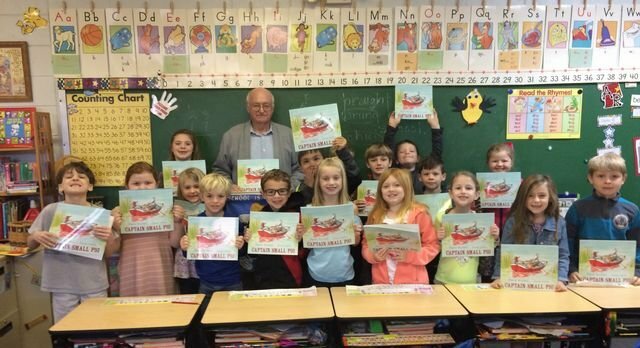 It is such a blessing to have Mr. Terrell and members of the Kiwanis Club of Americus along with the Books for Sumter Children Committee take such an interest in the young students of our community.